Direct Solutions is committed to helping our customers be more efficient, from growing better turf or plants to simply in finding information they need. 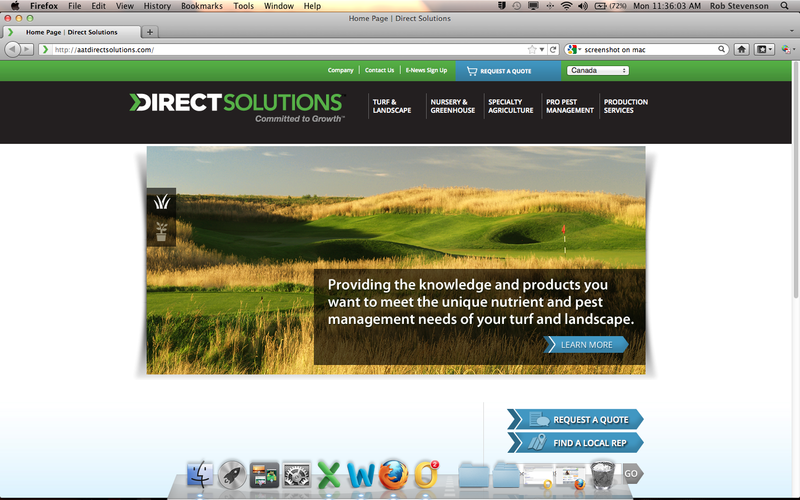 Direct Solutions today announced the launch of their new customer-facing website http://www.aatdirectsolutions.com. The site launch begins the second phase of Direct Solutions’ branding efforts, building upon previous work to establish the unique identity of Direct Solutions within the Agrium Advanced Technologies’ organization. The website launch follows the release of the company’s new tagline “Committed to Growth”, and a new, progressive logo to reflect Direct Solutions’ forward momentum in the green industry markets. The development of the new website incorporated feedback from customers regarding their website experience. The finished product reflects not only that feedback, but best practices in user experience and website development, along with the changes made to the Direct Solutions branding platform. The website introduction augments other new, customer-focused service elements at Direct Solutions, including a new “drop-by” warehouse location in Duluth, Ga., and an expanded product and equipment portfolio. Each element is reinforced by an industry-leading sales team and agronomists that support each and every purchase made at Direct Solutions. To experience the new website, or for a complete list of programs and products available at Direct Solutions, or to find a sales representative near you, please visit http://www.aatdirectsolutions.com.